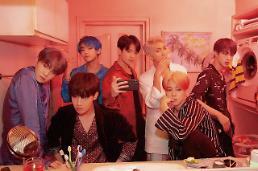 SEOUL -- K-pop band BTS received an award from YouTube for garnering more than 10 million subscribers on BANGTANTV, the seven-member group's YouTube channel. 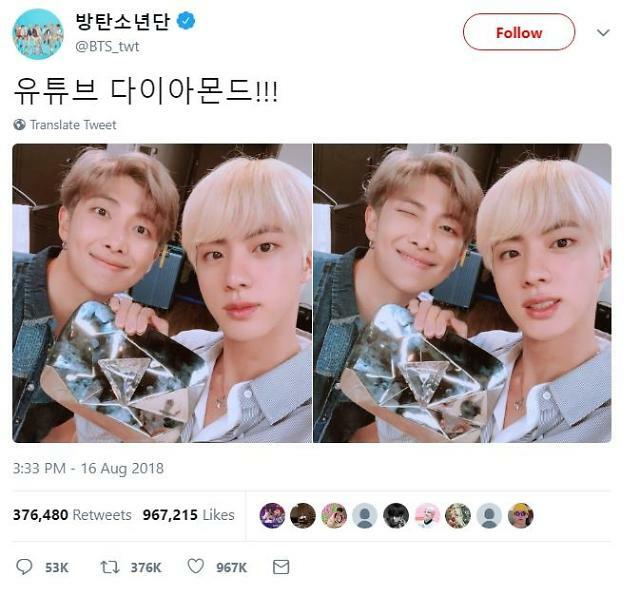 Two BTS members -- RM and Jin -- uploaded images holding up a "YouTube Diamond Play Button", a silver-plated plaque adorned with a large piece of crystal in a play button-shaped triangle, onto Twitter and thanked fans for their support. The number of subscribers on BANGTANTV stands at 10,440,878 as of 9:00 a.m. (0000 GMT) Friday. 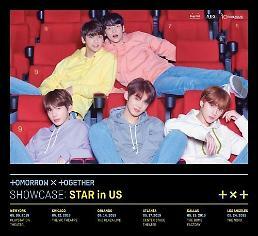 The group has built up an overseas fandom by sincerely communicating with fans through its YouTube channel with members commenting on messages left by fans. Big Hit Entertainment operates its own channel to upload music videos and BANGTANTV uploads personal videos such as dance practices and self-interviews. The size of the YouTube metal plaque depends on the number of subscribers. If BANGTANTV attracts more than 50 million subscribers, the "Ruby Play Button", a ruby colored trophy, will be awarded.